International and Global Studies at UNCG invites you to celebrate the rich diversity of East and Southeast Asian cultures. This free event will be Saturday, Sept. 24, 2016, 10 a.m. – 4 p.m., in the EUC Auditorium and surrounding areas. 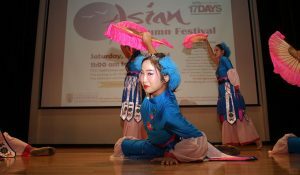 The festival offers fun and entertaining demonstrations, exhibits, food samples, cultural performances and children’s activities. Everyone is welcome. Admission and parking (Walker Deck) are free. For more information, please contact Yvonne Matlosz, ylmatlos@uncg.edu.